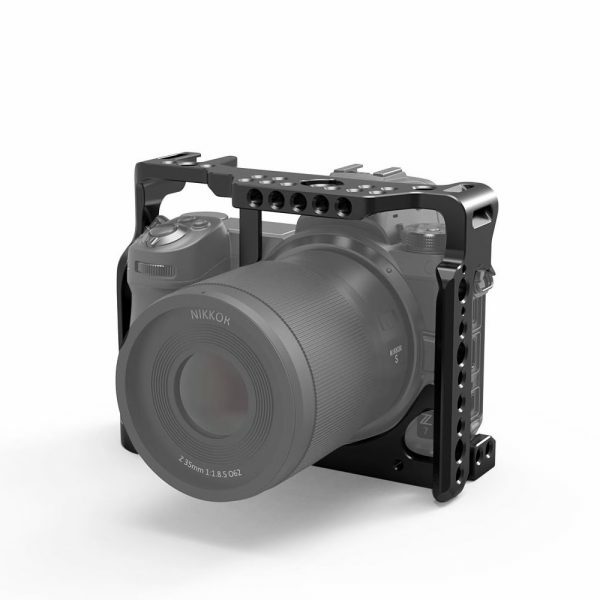 SmallRig has announced a cage for the Nikon Z6/ Nikon Z7. 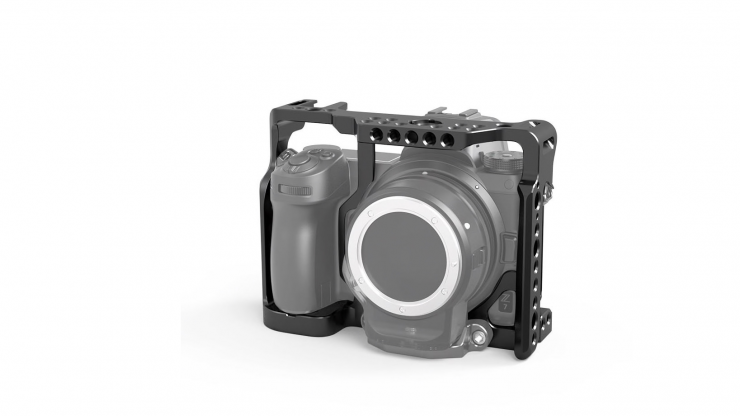 While we have seen quite a few lens adapters come to market for the new Nikon full-frame mirrorless cameras, cages have been slow to come to market. 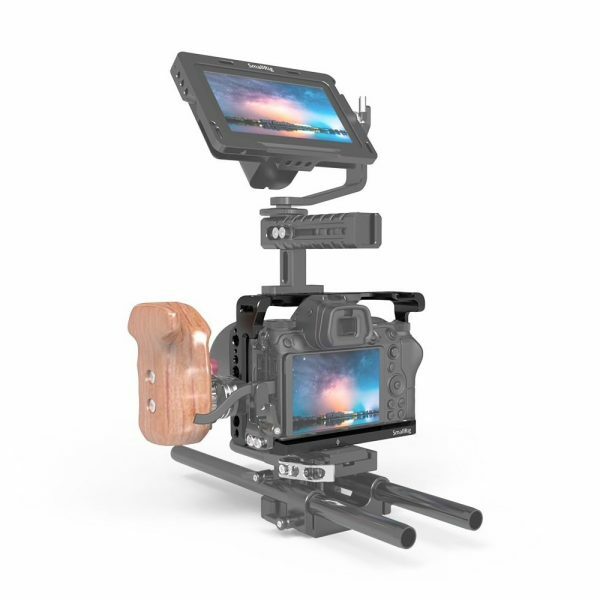 The SmallRig Cage for the Nikon Z6/ Nikon Z7 is a form-fitting cage which has been designed to provide extra protection for your camera protection and give you mounting options for extra accessories. The cage is fixed to the camera via the bottom 1/4″-20 threaded hole, which features anti-twist flanges to prevent twisting. 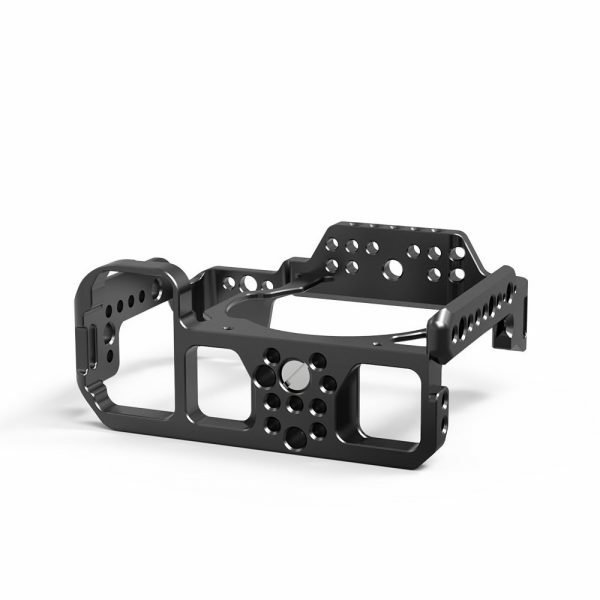 The one-piece aluminum cage features multiple 1/4”-20, 3/8”-16 and Arri 3/8”threaded holes for accessories attachment. Additionally, it features a cold shoe on the top for an on-camera microphone or monitor as well as a nato rail for adding quick release accessories. The bottom features multiple 1/4”-20 and one 3/8”-16 threaded holes for mounting tripod plates. 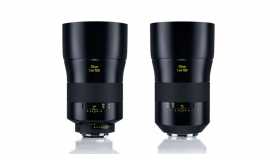 The cage features two M4 threaded holes which are used to mount the FTZ Lens Adapter. An optional arca swiss baseplate can be attached to the bottom if you want to create a set up where you need to run 15mm lightweight rods. An optional cable clamp to protect the HDMI port can also be purchased separately. 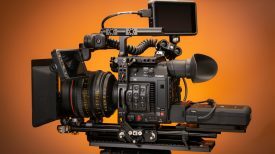 SmallRig says that their Nikon Z6/ Nikon Z7 cage was co-designed with Nikon. The SmallRig Cage for the Nikon Z6/ Nikon Z7 looks to be a nice simple solution that won’t break the bank. The cage is available to pre-order for $59 USD for the first 100 people. After that, the price will be $89 USD. Either way, it’s still quite affordable as far as camera cages go. 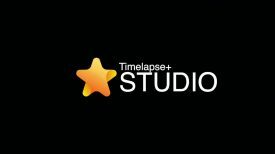 The cage is estimated to start shipping on November 9, 2018.